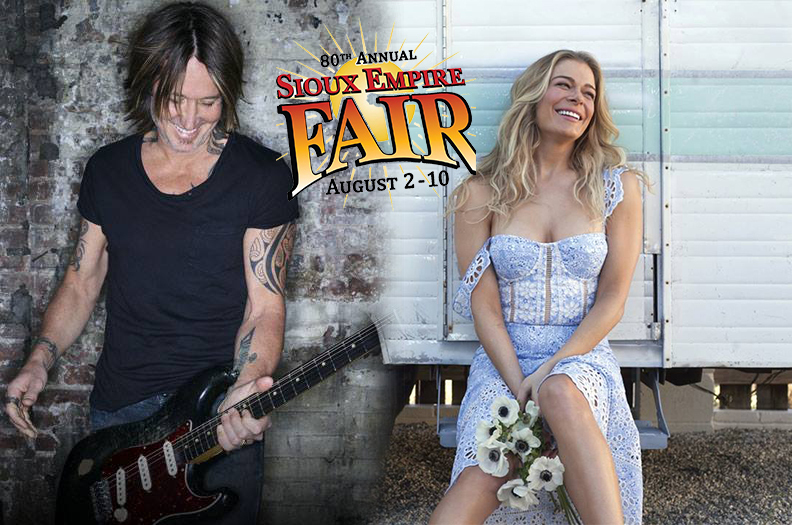 A couple months back, the Sioux Empire Fair announced that Keith Urban will be headlining this year’s fair on August 2nd with special guest Chris Janson. Tickets range from $79.50 – $99.00 + applicable fee. Today, they announced another big name will be performing, LeAnn Rimes! She will be going on the following night, Saturday August 3rd. Her special guest that night will be Tegan Marie. Admission is $10 for adults, $5 for children ages 6-12 and free for children under 5.